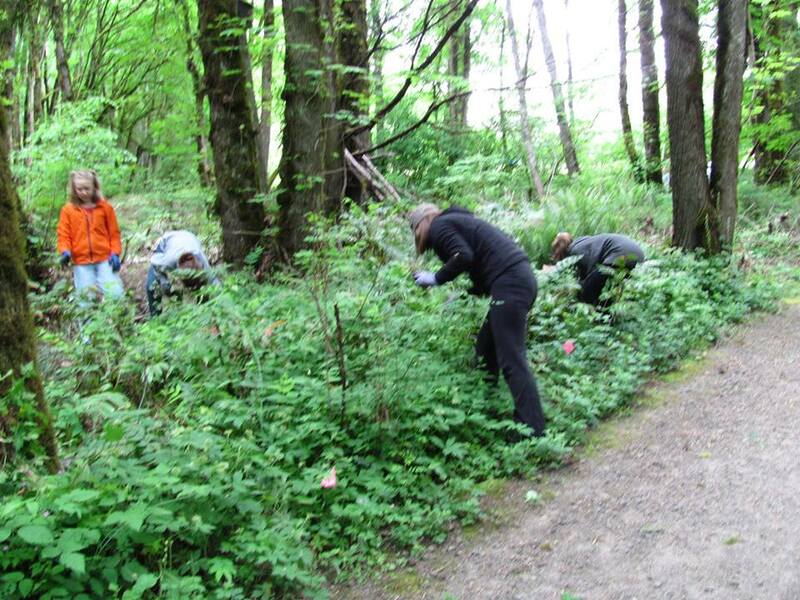 A Volunteer Work Party on Saturday, April 20, 9-11 AM helped clean up a new dedicated area for outdoor play. A Boy Scout has created the place with stumps to jump on and more. We cleaned up the adjacent area of sticks, weeds, and a bit of ivy. Thank you to 30 neighbors and teens from Youth Action Council who cleaned up our new outdoor nature area. They moved lots of bark chips and removed Ivy and Herb Robert. Great time to also celebrate Earth Day. Thanks again to everyone. This entry was posted on April 21, 2019, in 2019, Past Projects. This entry was posted on April 5, 2019, in 2019, Past Projects. This entry was posted on March 24, 2019, in 2019. 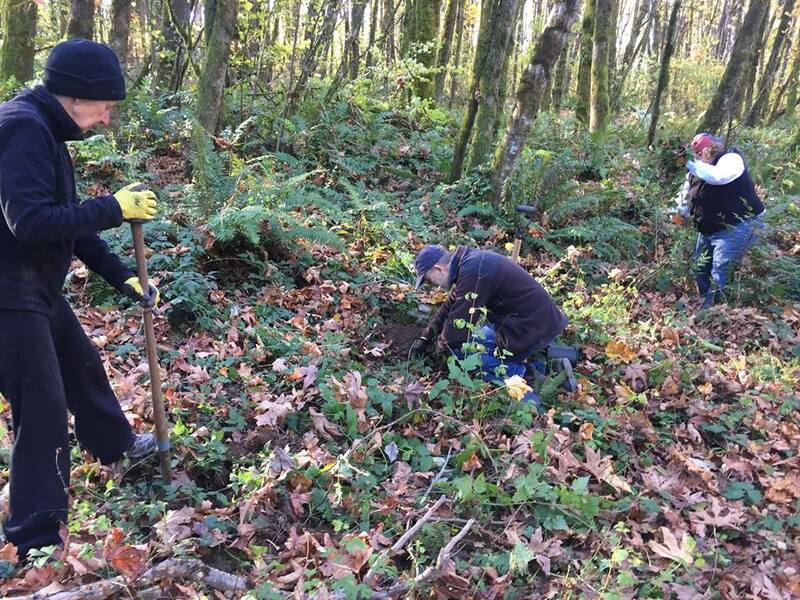 Over 20 neighbors and friends planted 250 Sword Ferns in Springbrook Park Saturday morning. The native ferns were planted in an hour and a half. The rain waited until we were done. Thanks to all the families and their children who worked so hard for this occasion. Special thanks to Tom Bland for managing this project with our Parks folks, and to Laura Tanz and Anne Lider from our board for their efforts. This entry was posted on February 16, 2019, in 2019 and tagged 9 people, nature, outdoor, people smiling, people standing, tree.